You are at: Blog » Business Models » An Inside Look: How does Snapchat Make Money? An Inside Look: How does Snapchat Make Money? Snapchat was launched in September 2011, Snapchat is the application for communication and tells the stories through pictures & videos which is having a unique business model and a revenue model that has made to measure features for every partner, promoter, and users. Snapchat’s operating model is so straightforward yet special that the queries of ” How does Snapchat make money? ” and ” Snapchat business model ” are in trend on search engines. How does Snapchat Make Money? Quick answers to ” How does Snapchat make money? ” are described as below. Before we start, we should know more about Snapchat. To understand the achievement of Snapchat, we must go through what the app does and How does Snapchat Work. Users can send “snaps” or text, videos, and photos. Private messages are automatically deleted once they are seen by the other party. A public post, on the other hand, has a 24-hour termination time. If you think those limitations are silly, you should know that user can post the videos up to ten seconds in length. Some people feel that Snapchat is either a poorly-designed messaging app or something else entirely. With 150 million daily active users and is valued at a price of $20 Billion. Snapchat has promised to boost its revenue from $59 million, in 2015, to $1 Billion in 2017. Snapchat is the latest rage among the people of age group 13-34. According to the numbers, Snapchat reaches 41% of 18-34-year-olds in the USA as compared to Television which has around 6% reach. But this pioneer of ‘communicate through pictures & videos application’ has a giant competitor and that is Facebook. Facebook which has bought Instagram & WhatsApp has been seen introducing Snapchat’s features in these applications. But it can be seen that Snapchat business model has an edge over Facebook business model. You may also like Analysis: How does PayPal Work? So, How does Snapchat Make Money? Just like other social media like Facebook, Instagram and Twitter, Snapchat is profiting off of advertisements. When it comes to the point of How does Snapchat Make Money, thanks to its unique features. Snap Ads are the main course of Snapchat advertising. They work by showing 10-second, full-screen video ads that are most related to other snaps. These ads are also interactive. When presented, users have the choice to swipe up to admittance more content – be it a longer video, blog post, or app install. 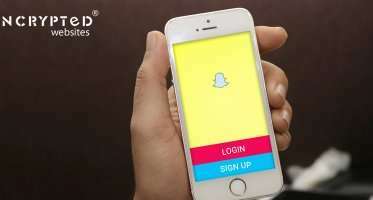 To improve transactions, the company launched Snapchat Partners with firms such as SocialCode, TubeMogul, 4C and Adaptly. Data suggests that Snapchat’s ad revenue will hit nearly $1 billion next year. According to eMarketer, one of the reasons behind this quick-tempered growth is the app’s enormous popularity – particularly among millennials and members of Generation Z. In recent years, Snapchat has partnered with sports organizations such as the NFL, NHL, and the MLB. These organizations supposedly leverage Live Stories when any sports event occurs to reach more people in the social space. One point to note here is that the MLB began using Snapchat back in 2014. 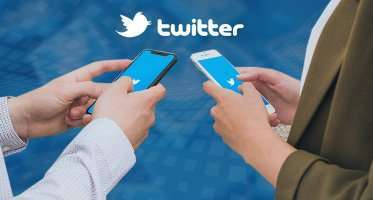 At that time, users must follow their account to view the stories they posted. But with a partnership, live stories are promoted to all the users of Snapchat. Geofilters are filters (frames) specially developed for certain regions or occasions. Many of the big companies/event organizers partner with Snapchat to get a specialized Geofilter which can be used by visitors to such regions/events. 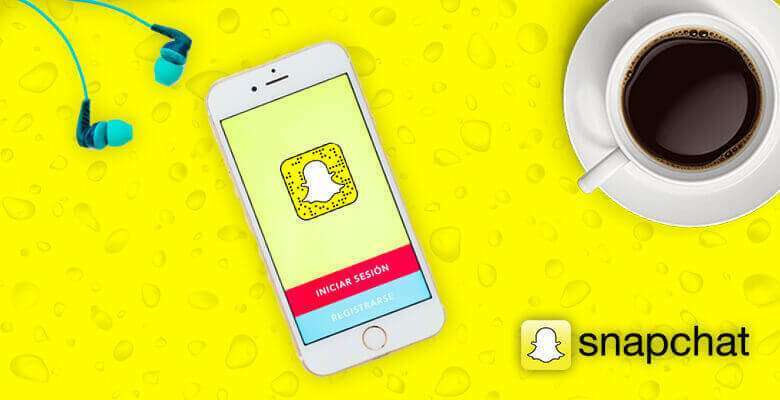 Snapchat also avails the facility of ‘On Demand Geofilters’ which has been used by many movies and businesses to promote themselves and create brand equity in the niche market, among the millions of teens users of Snapchat. Discover avails content created by the news, celebrities, and entertainment outlets, and other users. You can subscribe to specific Discover sources to get their feeds. While Discover offers some genuine news from publishers including the New York Times and Vice Media, the offerings can be promotional and are frequently mature. But if any immature kid signup with his/her correct date of birth, they’ll miss the alcohol ads and all the adult content that Snapchat filters out for underage users. Discover stories often feature promos prompting kids to “swipe up” to learn more (this usually leads to ads) or take a quiz (that is also a marketing tool). This portion runs the extent from harmless to shocking, so it’s good to watch around and get a sense of what your kids are seeing. Realizing the appeal of lens filters toward Snapchat users, giant organisations went to the lead and launched their sponsored lens filters. The lens filters are almost similar to Geofilters as they may also only appear in specific locations. Though, lens filters are more interactive and vibrant than stationary Geofilters. To increase the user’s interest, lens filters also play a sound clip when on the go. For example, having a meal or snacks at KFC also enables the Colonel Sanders lens filter, which turns users into the white-maned colonel himself. A special animation involving a fried chicken leg also takes place – prompting the user to enjoy the food. Take note that Geofilters and sponsored lens filters do more than just giving the good experience to customers. Think about it – if you’re eating at Taco Bell and your head suddenly turns into a giant taco shell, the first thing you’ll wish to do is to share it with your friends and followers. As a result, brands who advertise on Snapchat gets to influence user-generated content (UGP) as well as the social media reach of their customers to reach a niche market. By the way, here I need to mention that Taco Bell’s noble attempt at turning people’s heads into tacos did pay off big. A sum of 224 million individuals interacted with the taco head Snapchat filter. To be fair, brands who wish to advertise using sponsored filters had to shell out as much as $750,000. In comparison, the average cost of a 30-second ad on Super Bowl costs a whopping $5 million. That’s without any guarantees that the audience is even paying attention during the advertisement. So, these are the necessary tools to know how does Snapchat make money. How to Launch an App Similar to Snapchat? If you’re willing to start your own social media business – you should go with Snapchat Clone which has customized features to let you roll with your own social sharing business. You are welcome to discuss openly in the comment box on – ” Snapchat Business Model “. Come and share your views for the article – ” How does Snapchat Make Money? “. ← A Thoughtful Study: How does Stripe Work? Inside the World of Snapchat: How does Snapchat Work? If some one needs to be updated with most up-to-date technologies therefore he must be visit this website and be up to date everyday. Indeed very helpful.. Nicely Writen..